Well, this might come as a shock to many of the Chelsea fans, but despite a great season in the Premier League, it seems that one player is just not happy being at Stamford Bridge. It so often happens that when a team is doing well and some of the stars are on top of their game, a few of the players do feel left out or are not satisfied with their performances. Such could be the case with this Blues’ star, who has been instrumental in helping his club win the league twice over the past three years. 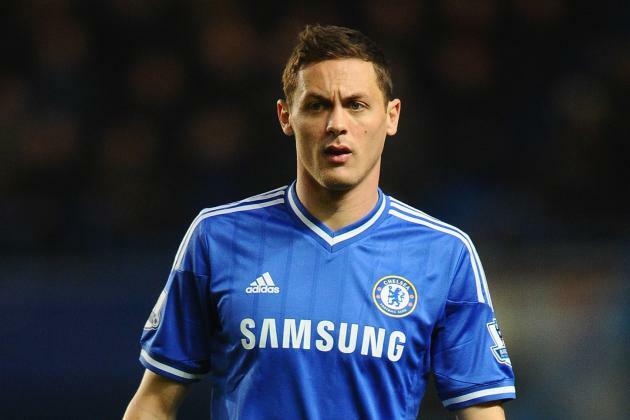 The player in the news is none other than Nemanja Matic, who was bought back by the west London outfit in 2014, after a failed initial stunt with them between 2009-2011. His impact was not instant, though he eventually managed to be a game changer for the Londoners back then. However, the problem now is that, he wishes to leave and join former boss Jose Mourinho at Manchester United, as he is unhappy under Antonio Conte. The reason could be the signing of N’Golo Kante from Leicester City, which has seen the Serbian international go in and out of the team, with the Frenchman playing a more vital role. On the other hand, the Portuguese manager and his Red Devils side are in need of a consistent holding midfield player, who can be of great value to their team. It seems as the perfect scenario for both the Premier League giants to come to an agreement, though whether this deal goes through or not, is still a mystery. It is not really advisable to sell a good player like Matic to one of your direct and fierce rivals, who can hurt your title ambitions in the future, though the 28 year old superstar’s wish has to be respected as well. With a lot of top players being bought and sold in the current transfer window, one thing is certain, if the deal does go through, we will report it. For more such stories and staying up to day, don’t forget to like our Facebook page. Next articleWow! What Will Wenger Do As Arsenal’s Premier League Rivals Are Eager To Sign Theo Walcott For £25m?